“Ugh! What’s that smell?” I still remember the exclamations that came from our next door neighbor, back in the day when we lived nestled way too close together in not-so-blissful suburbia. Over time the exclamations continued, “I can’t sit out here. It positively reeks.” After that came the pointing and glaring. You see, it was my compost. We had positioned the two compost containers in a corner, not too far from the back door so that we could easily access it in the winter. The only problem was that the corner was very close to our neighbors. Such is the downside of suburbia life. We were doing our part to reduce our contribution to the landfill, but as a result, we were stinking up the neighborhood. What to do? My first thought was to move to the country. We did move eventually, but not soon enough. In the meantime, we had to address the issue of the smell or ignore it. Personally, I didn’t mind the smell much. It was a natural process that was taking place right in our own backyard. Yes, it was basically rotting food, but the compost was giving back to the earth something we had taken from it. So, it’s a good thing. Right? I did manage to alleviate some of the smell by adding grass clippings, leaves, garden refuse, and dirt. However, nothing I did seemed to alleviate the problem from the neighbor’s perspective. As an alternative, our nieghbors grew a cedar hedge really tall and built a shed right next to the compost. That being said, growing a hedge wasn’t entirely within bylaw allowances, but who was I to complain? At least the smell problem was solved, kind of. Once we moved into the country, I took great delight in my compost tubs and piles here, there, and everywhere. Not to mention, the benefits that the compost added to my garden! The bees, especially the honey bees, loved the compost too. Not for nesting, but as a food source. If the garden refuse that I added included recently pulled plants, or what was left of a fresh cut floral arrangement, the bees had a “heyday.” The sweet smelling peelings of citrus and other fruits was alluring too. There are a variety of compost materials that attract the bees, and that’s a good thing! Unfortunately, honeybees are becoming an endangered species. If they want to nest, let them! Start another compost elsewhere. If you’re in the country, you should have space to do so. My less than one-acre piece of paradise has a closed compost and countless piles scattered about, mostly behind trees. In contrast, I remember my great grandfather and his wonderful garden on a small piece of property in town, with piles of composting garden and kitchen waste in various corners. Fresh tidbits from the kitchen would be instantly dug into the existing compost, or a hole would be dug in the ground and the refuse buried. Mother Nature did the rest. As for garden composting, I remember my great grandfather also placed the rhubarb leaves of freshly harvested rhubarb at the base of his rhubarb plants. This, he claimed, protected the roots and composted the leaves right into the soil. He had the best rhubarb, which is now covering a good quarter of my vegetable garden. I have since heard contrary advice to this trick. Being in a different growing area than my great grandfather was, further north, I have stopped placing rhubarb leaves at the base of my plants. With the cold and the dampness of our springs and summers, my rhubarb leaves (on the very plants that my great grandfather once grew) often have mold and rust spots. So the notion of composting them for the plant’s benefit is not a good idea. Plus, it’s a great place for earwigs to abound. Instead, my rhubarb leaves compost behind one of our many trees and benefit other parts of the garden that may not be affected by the mold and rust. We don’t have to purchase compost anymore, because we can make our own. The benefits are numerous, not the least of which is the fact that we know what’s in the compost because we put it there. Keep in mind that some things don’t compost well like bones, meat, poultry, and fruit and vegetable pits. The rule here is to remember that what grows from the earth has to return to the earth. Compost away! Today’s post is brought to you by award-winning author and artist, Emily-Jane Hills Orford. When this author isn’t writing, creating collage paintings, working on her needlework or composing, you’ll find her in the garden. Even in the winter, gardening is not far from her thoughts as she plans and prepares for the next season and the next growing adventure. Using pressed flowers from her garden, this author/artist/composer is gardening indoors with multi-faceted garden ideas re-created on canvas. This blog post was submitted by one of our community members (scroll up for their personal bio). We welcome guest posts from the community that fit with our writer guidelines. 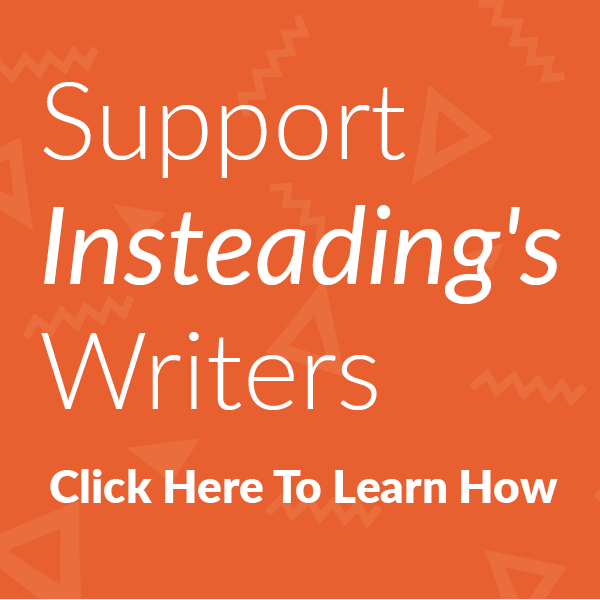 Click here to learn more about how to write for Insteading.